Deliciously Savvy is hosting a giveaway in which 2 lucky winners will receive $50 in product from Multiforce! 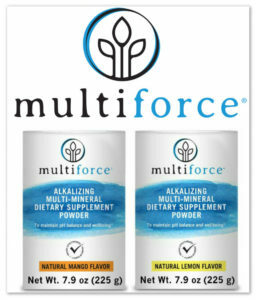 Multiforce will work to help your body re-calibrate its pH balance between acid and alkaline so you can feel your best in the fastest and easiest way possible. Perfect for the busy lives that we live. Enter today & good luck! Plus a Big Thank You To All Of The Amazing Bloggers Helping To Promote This Giveaway! 2 Lucky Winners Will Receive $50 In Product From Multiforce! Can't Wait? Receive 10% Off Your Order Plus FREE Shipping With Code Multiforce15. This giveaway will end at 11:59 PM (EST) on 02/28/2018. Deliciously Savvy did not receive any form of compensation for this giveaway. Once winner is selected via the Rafflecopter process, the product will be shipped. Winner has 48 hours to respond or another winner will be chosen. No other blog associated with this giveaway is responsible for the product shipment. Multiforce will be providing the prizes above to the winners. Thank You for stopping by! Any Questions or Concerns email me at mcushing7 (at) hotmail (dot) com.